When I found out where Assange was being kept prisoner, I decided to investigate the facility itself. I found the information very disturbing. One of the links was for a “A tour of the jail within a jail that houses Britain’s most dangerous”. Why are they putting a man in jail for a simple bail breech in a top security prison? I find this very disturbing and unfair. As though Assange did not suffer enough during his 7 year stay at Ecuadorian’s “House of Horrors” in the last year, they are placing him in “The Gitmo of England”. Here is a link to a youtube video titled “Inside Britain’s Toughest Prison. Belmarsh is a Category A prison. 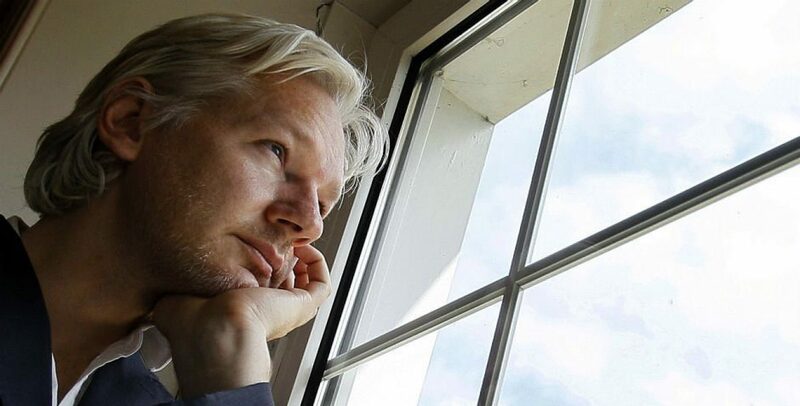 I am still baffled as to why Assange has been placed in a prison full of prisoners who are considered a threat to the public. He is a journalist arrested for publishing war crime documents. Is this how they treat the press in England? Is this how they deal with free speech advocates? Apparently the UK government is terrified by Assange and what he represents. We as a people need to be outraged they put a man only convicted of a bail breech in such a prison. It is like putting your mother in solitary confinement for scolding you. Though Assange’s health care issues may be treated here, I only pray they keep him out of the general violent population. He is not safe in this prison. If they treat him as they have many others, he will be intimidated and physically assaulted or worse. Britain is nothing more than a tiny tool that the US is using to destroy a threat to their corruption. If he is treated like this for a bail breech, what will he endure under US jurisdiction? We must fight for no extradition to save Assange, our free speech and our human rights now. Thanks so much for sharing. I clicked on the link and learned so much. I, too, think it is outrageous Assange was sent to this prison – or any prison. This is terrifying stuff that is proving what I always suspected. How do you deal with arrogance like the Clintons, like the pompus PM in England, like the want to be MPs in Australia. It is frustratiing when they won’t deal with this. I have sent messages to most Australian Pollys. over the last few years with not one reply. It is an insult. They are just proving themselves to be working for themselves with no compassion. Godless sinfull and criminal. God help them. This is very worrying. I hope he is allowed visitors, books, letters , writing paper and can get some sunshine during exercise periods.. I hope he is treated kindly . I am very sad .